A Shepherd's Heart: Doers not just Hearers! Let me ask you, when you read God's Word, does it have an impact on your life? Do you hear what He's teaching you and then in turn do something with it? Or, do you just hear and do not act upon it? Something for you and I to consider on a daily basis! 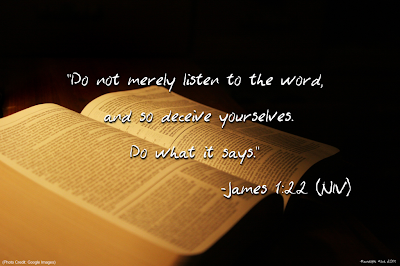 Let us strive to be doers of the Word not just hearers! Can I get an Amen? !